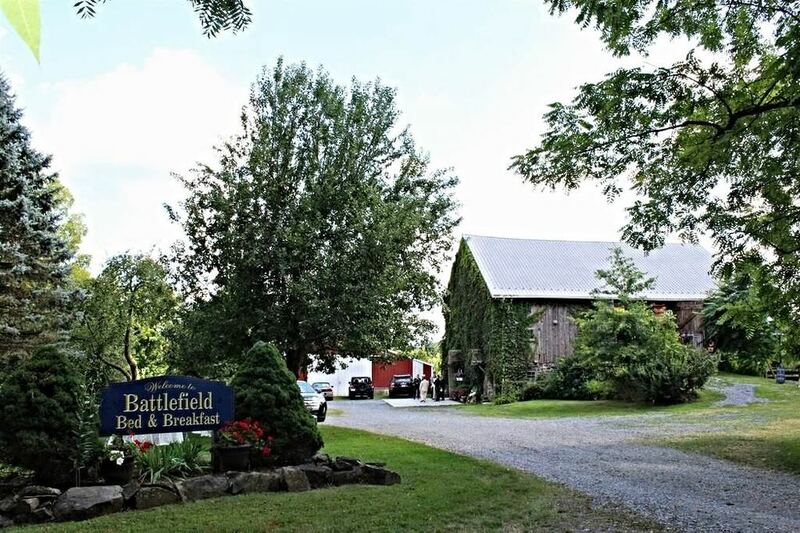 The History of Battlefield Bed and Breakfast Inn, it's Location, and Photographs. Also information for dog travelers, families, and paranormal enthusiasts. 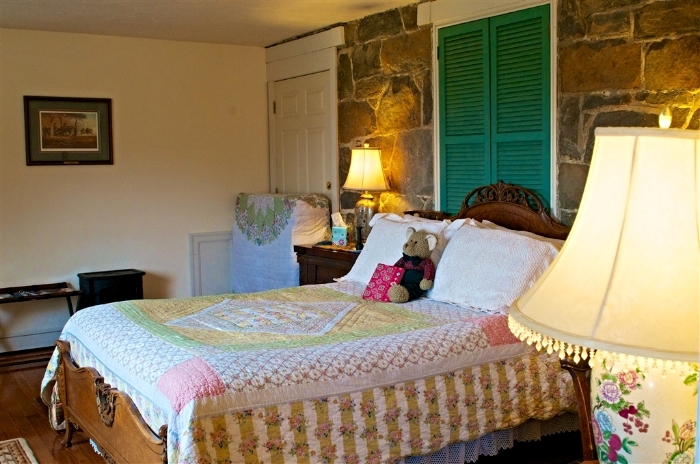 We invite you to stay in our 10 guest rooms in the farmhouse, 1 guest room in the barn, or our cottage. Our inn is open all year. 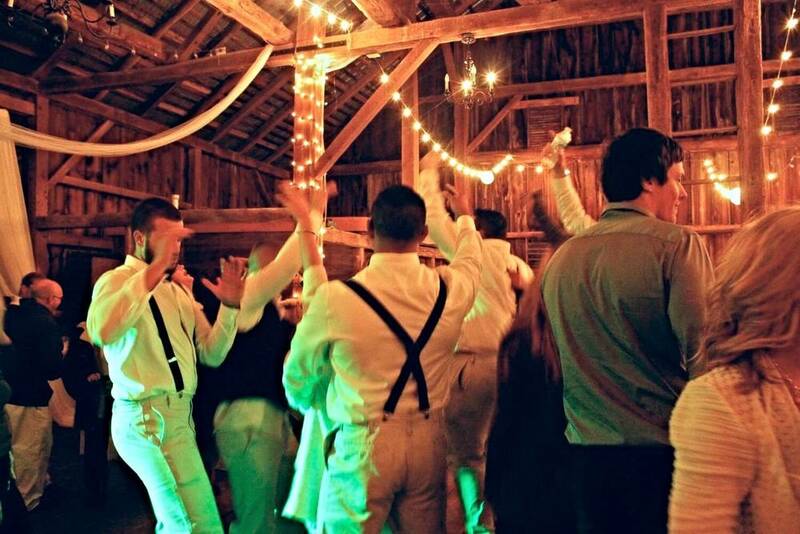 Our Historic Barn Venue seats 120 and is open May 1 - Oct 15. The Solarium Venue seats 70 and is open all year. Innkeepers Florence and Debbie March Welcome You! Family is important to both of us. With two adult children each and five grandchildren between us, we know how important it is to build a place where families can come to build memories and celebrate together. Florence has been innkeeping since 1994. She loves music, teaching, cooking, and gardening. In a world long ago and far away, she studied geology and worked in a science lab analyzing meteorites while looking for signs of life in outer space. While raising children, she trained as a music docent and taught elementary music in the California public schools. Yes, Florence is a Californian at heart. She was born in Hollywood and grew up in California. 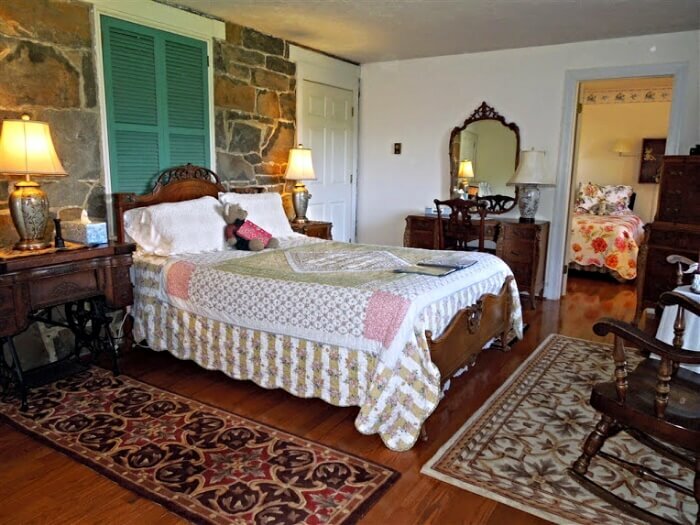 She moved to Gettysburg in 1993 to convert a historic farmhouse into an inn where guests can create memories and go away knowing more than they did when they arrived. "When you visit, I would love to tell you about my song-writing. Songwriting makes me think. I've also written some piano music. I accompany the choir and the hymns at the Unitarian Universalists of Gettysburg. I was one of the founding members of this church and we started right here in the Parlor at Battlefield Bed & Breakfast in 2002. I'm excited about the garden this year. If you know about how to start an herb garden, please share with me. We are expanding our herb garden and starting a new, larger vegetable garden. I would also like to plant flowers to feed butterflies and bees in our meadow. But I don't know how, so if you have any expertise in how to plant insect food in a wild field, talk to me about it. I am very interested in the stories of all the people whose history has touched the historic building that I take care of. I can't say I own it. It owns me. Ask about the stories of the house. Debbie started as the Event Coordinator in 2011. She has a passion for teaching and healing arts. She will write more later. But meanwhile, she is a real native of Gettysburg. Her family arrived in the Gettysburg/Hanover area in 1752 from Hanover, Germany. She has local stories to tell! When Debbie isn't planning her new hen house, she loves reading about Henry VIII's wives. Well, maybe she doesn't speak Pennsylvania Dutch all the time. Her careers have spanned insurance, real estate, managing a pediatric office, and teaching medical classes at a career college. She never dreamed that she would be planning weddings! Life is full of surprises! So come see the chicks and eat some gockies! And as Debbie would say in Pennsylvania Dutch, "Come help me throw the goats over the fence some hay!" During the Battle of Gettysburg, the farmhouse belonged to abolitionists Anna and Cornelius Houghtelin, Vice-President of Gettysburg's Anti-Slavery Society in 1835. The Farmhouse was General Merritt's Headquarters during the cavalry battle here on the South Cavalry field. The Historic Barn Venue was a Civil War Field Hospital. The Solarium contains a fireplace designed by Victorian architect Frank Furness, who was a cavalry soldier with Rush's Lancers, a distinguished unit that fought on this property. The infamous artillerist Lt. Robert James dropped an engraved silver spoon on the grounds. President Eisenhower walked the property. 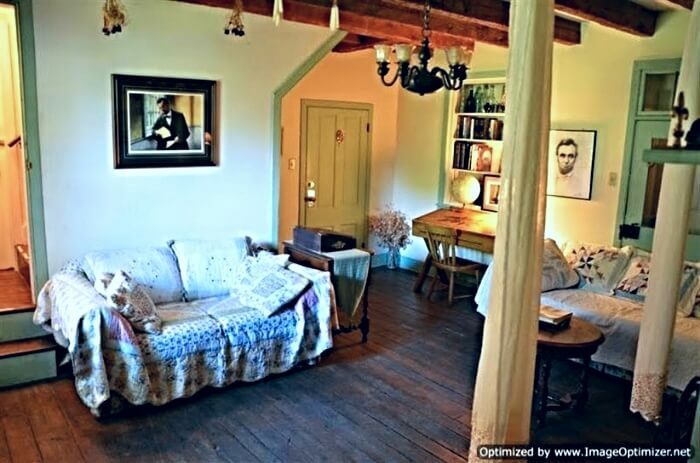 Add your own name to the list of luminaries who have left their mark on Battlefield Bed & Breakfast. 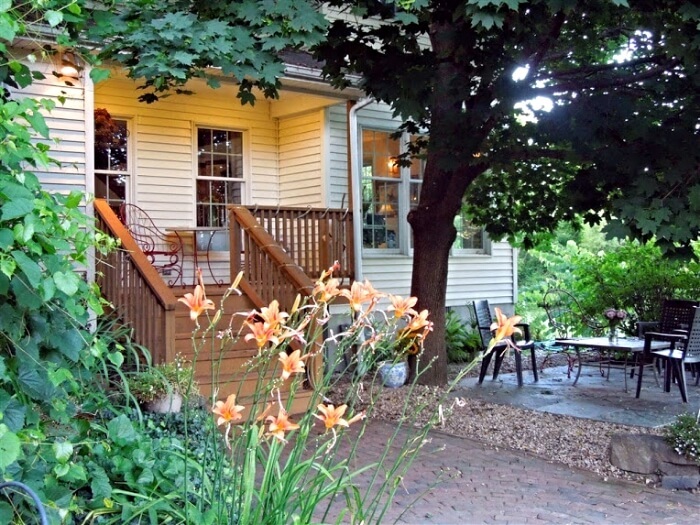 Whether you have a family or are family, you will have a warm welcome at Battlefield Bed & Breakfast Inn. Come to be pampered. Come for the Inn's history. Then discover a friendly retreat for you, your favorite people, and your canine friends. We love dogs and we love dog owners. We know that you don't want to leave your dog at home. And you shouldn't have to. You and your dog are welcome here. At Battlefield Bed and Breakfast Inn your dog will find 30 acres of nature preserve with walking trails for long walks on a leash. Our walking trails take roughly a half an hour to walk with beautiful natural scenery throughout the trails. You and your dog can also play fetch on our six acre lawn. We offer complimentary doggy waste bags as well as a dedicated outdoor waste can. All twelve of the inn's rooms and suites are dog friendly and four rooms have direct outdoor access for your dog's convenience. There are no additional fees for bringing dogs to Battlefield Bed and Breakfast Inn. We do ask that all dogs remain on a leash anywhere outside of your room. 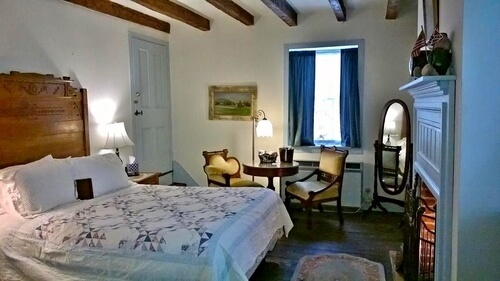 Book the best family vacation in Gettysburg, PA! We have a Horse and a Pony and we encourage all of our guests with children to visit them while they are staying with us. Every morning you and your children will be lectured about the Civil War from one of our own Civil War Historians. We even have Civil War era clothing for you to try on and take family photos. We offer full delicious breakfasts and we can accommodate special requests. Your children will have full access to our 30 acre nature preserve complete with walking trails and a beautiful lotus pond that blooms in the summer time. You and your children can relax in the evenings on our spacious deck or in either of our two common rooms. 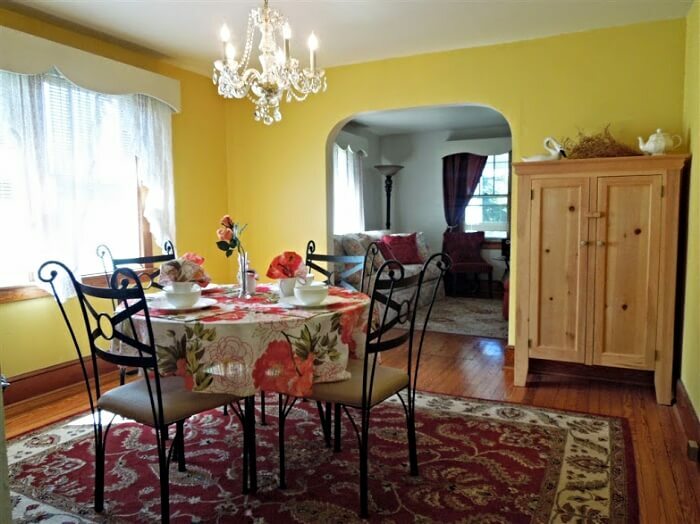 Here at Battlefield Bed and Breakfast Inn you will make memories with your family that will last a lifetime. Be sure to check out our page suggesting activities for children during your Gettysburg visit. 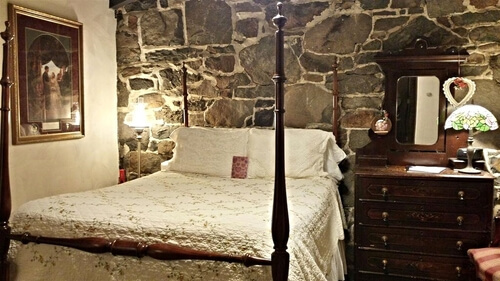 Are we a haunted bed and breakfast? Our guests tell us stories. Listen to the stories, watch the videos that they have posted online, and make up your own mind. The Inn's historic 1820's barn was used as a field hospital during the battle of Gettysburg. Miss Betty features our barn on her Sach's Bridge/Haunted Barn Tour. 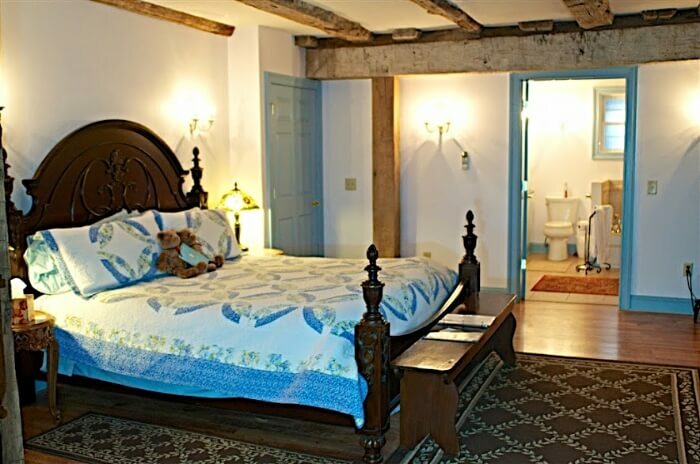 Perhaps you would like to participate in one of the Inn's Paranormal Investigations. We schedule them throughout the year. Check our Event calendar for the next investigation. You are also welcome to investigate during your stay. View Paranormal Investigations posted online: Ghost Hunters Inc. , Ghost Hunters Inc. #2 , Ghost and Spirit Paranormal , and Bearfort Paranormal. Use our interactive map and map key to discover all of the nearby historic Battlefield locations, local Museums, Art galleries, and Activities. Click on any colored dot to learn more.